For courses in architecture and civil engineering. Reinforced Concrete: Mechanics and Design uses the theory of reinforced concrete design to teach students the basic scientific and artistic principles of civil engineering. The text takes a topic often introduced at the advanced level and makes it accessible to all audiences by building a foundation with core engineering concepts. 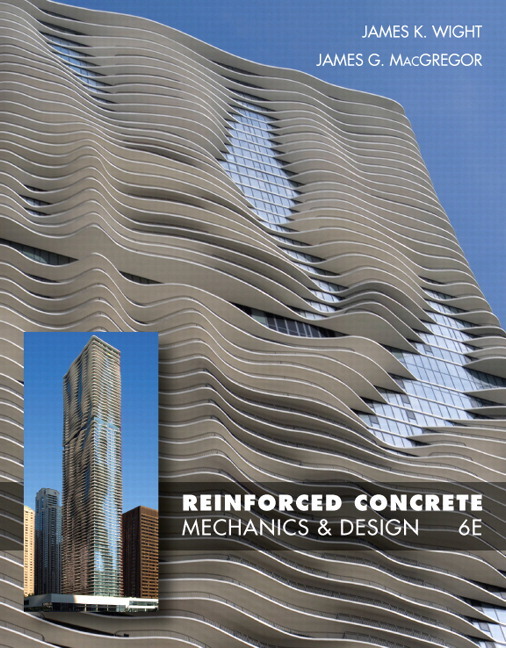 The Seventh Edition is up-to-date with the latest Building Code for Structural Concrete, giving students access to accurate information that can be applied outside of the classroom. Students are able to apply complicated engineering concepts to real world scenarios with in-text examples and practice problems in each chapter. With explanatory features throughout, the Seventh Edition makes the reinforced concrete design a theory all engineers can learn from. UPDATED! All chapters and examples have been updated to comply with the latest 2014 ACI Building Code. REVISED! The code has been rewritten in member-based format to make the technical concepts more accessible to students with less experience. UPDATED! Chapter 19 has changed its earthquake-revision design requirements to reflect the ACI Building Code seismic provisions. UPDATED! Streamlined reorganization makes the text flow easily from beginner to more complex topics. Beginner and advanced subjects are presented in the same chapters, making the text suitable for both undergraduate and graduate students. Emphasis is placed on logical order and completeness for the many design examples presented in the book. The text guides students through major topics and examples to help them understand and apply their learnings outside of the classroom. 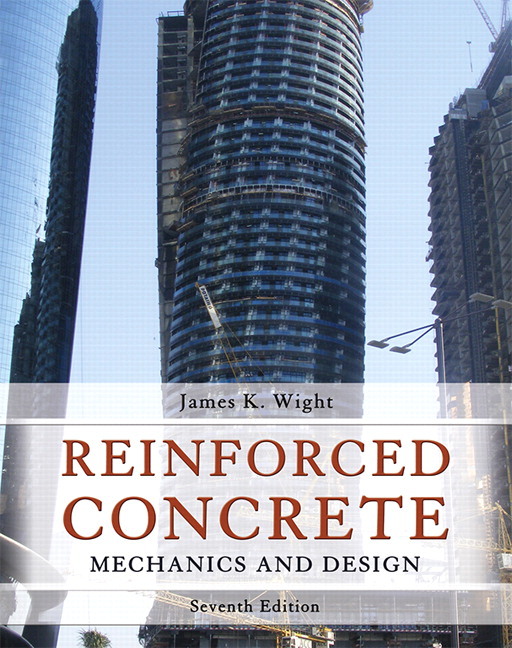 Chapters 2 and 3 open with general topics related to structural concrete design and construction and are referenced frequently throughout the text. NEW! Toolbox Chapters that contain key equation sets and tabulated limits have been added throughout to avoid duplication and create easy reference when solving chapter problems. REVISED! Technical information presented in chapters 6, 7, and 17 has been rearranged to provide a more fluid discussion from member behavior to development of design code requirements. NEW! Chapter 2 includes a discussion of sustainability for design and construction of concrete structures, covering topics such as the use of concrete in building reduced CO2 emitting structures and their life-cycle costs, as well as improved thermal properties and building aesthetics. NEW! Chapter 5 fully covers flexural design procedures for the entire spectrum of beam sections. Information can easily be applied to flexural design of one-way and two-way slab sections. NEW! Chapter 7 contains information on equivalent tube analogies used to define member strength and behavior before and after torsional cracking. NEW! Chapter 19 discusses the design of coupled shear walls and coupling beams in seismic regions, including coupling beams with moderate span-to-depth ratios. NEW! Both one-way (in chapter 5) and two-way (in chapter 13) continuous floor systems are discussed with typical modeling assumptions and the interplay between analysis and design. NEW! Appendix A contains axial load vs. moment interaction diagrams that include the required strength-reduction factor and are thus useful for design both in and out of the classroom. UPDATED! Pedagogical features throughout the text help students understand complicated engineering concepts and equations. UPDATED! Tables have been used more extensively throughout the text to identify design requirements formerly explained in paragraph format with easier understanding. Extensive figures illustrate aspects of reinforced concrete member behavior and the design process. NEW! Video Solutions are provided for various examples throughout the text that provide step-by-step procedures for solving analysis and design problems on the companion website. Toolbox Chapters that contain key equation sets and tabulated limits have been added throughout to avoid duplication and create easy reference when solving chapter problems. Chapter 2 includes a discussion of sustainability for design and construction of concrete structures, covering topics such as the use of concrete in building reduced CO2 emitting structures and their life-cycle costs, as well as improved thermal properties and building aesthetics. Chapter 5 fully covers flexural design procedures for the entire spectrum of beam sections. Information can easily be applied to flexural design of one-way and two-way slab sections. Chapter 7 contains information on equivalent tube analogies used to define member strength and behavior before and after torsional cracking. Chapter 19 discusses the design of coupled shear walls and coupling beams in seismic regions, including coupling beams with moderate span-to-depth ratios. Both one-way (in chapter 5) and two-way (in chapter 13) continuous floor systems are discussed with typical modeling assumptions and the interplay between analysis and design. Appendix A contains axial load vs. moment interaction diagrams that include the required strength-reduction factor and are thus useful for design both in and out of the classroom. Video Solutions are provided for various examples throughout the text that provide step-by-step procedures for solving analysis and design problems on the companion website. James K. Wight received his B.S. and M.S. degrees in civil engineering from Michigan State University in 1969 and 1970, respectively, and his Ph.D. from the University of Illinois in 1973. He has been a professor of structural engineering in the Civil and Environmental Engineering Department at the University of Michigan since 1973. He teaches undergraduate and graduate classes on analysis and design of reinforced concrete structures. He is well known for his work in earthquake-resistant design of concrete structures and spent a one-year sabbatical leave in Japan where he was involved in the construction and simulated earthquake testing of a full-scale reinforced concrete building. Professor Wight has been an active member of the American Concrete Institute (ACI) since 1973 and was named a Fellow of the Institute in 1984. He is a Past-President of ACI and a past Chair of the ACI Building Code Committee 318. He is also past Chair of the ACI Technical Activities Committee and Committee 352 on Joints and Connections in Concrete Structures. He has received several awards from the American Concrete Institute including the Delmar Bloem Distinguished Service Award (1991), the Joe Kelly Award (1999), the Boise Award (2002), the C.P. Siess Structural Research Award (2003 and 2009), the Alfred Lindau Award (2008) the Wason Medal (2012) and the Charles S. Whitney Medal (2015). Professor Wight has received numerous awards for his teaching and service at the University of Michigan including the ASCE Student Chapter Teacher of the Year Award, the College of Engineering Distinguished Service Award, the College of Engineering Teaching Excellence Award, the Chi Epsilon-Great Lakes District Excellence in Teaching Award, and the Rackham Distinguished Graduate Mentoring Award. He has also received Distinguished Alumnus Awards from the Civil and Environmental Engineering Departments of the University of Illinois (2008) and Michigan State University (2009).